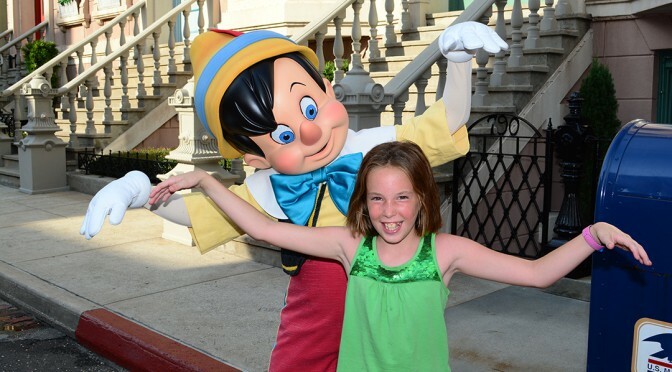 Character Palooza is an unpublished character meet and greet that takes place at Hollywood Studios. Here’s the article I wrote on Character Palooza a while back with more information. We dropped in on Saturday afternoon and saw the Streets of America abuzz with meet and greet action. It’s funny how many people don’t know this exists and just stumble upon it. I’ve observed recently that the summer appearance can vary from 5:55pm to 6:10pm, so arrive a few minutes early! Our goal Saturday was to ride Expedition Everest and Dinosaur and take part in the Dinoland Dance Party at Animal Kingdom, then hop over to Hollywood Studios to take in Character Palooza and the new Rock Your Summer Side Dance Party. We succeeded at everything except Dinosaur which went down while we were there. 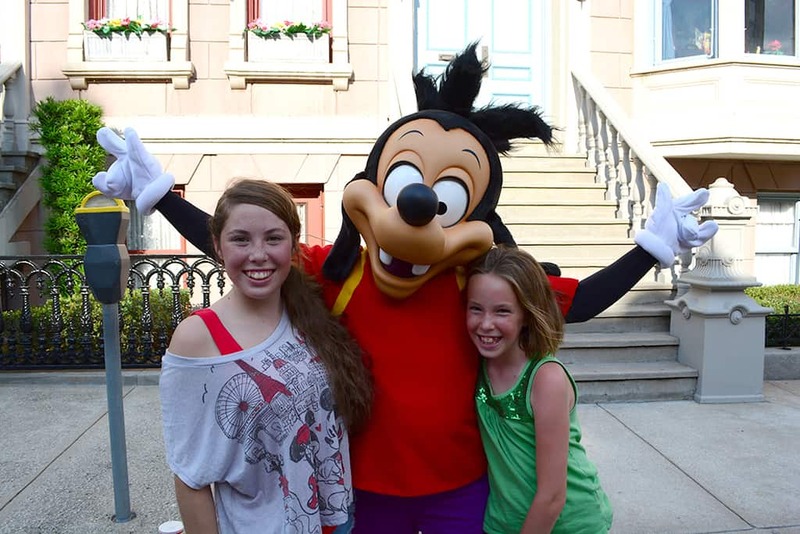 We arrived at Character Palooza and Jordyn was hot and tired and was going to sit on the steps and wait on Debbie to meet some of her favorite characters…until she saw Max! In the same day Jordyn got to meet Mushu and Max for the first time, so she was pretty happy. Character Palooza can be like shooting at a moving target at times. 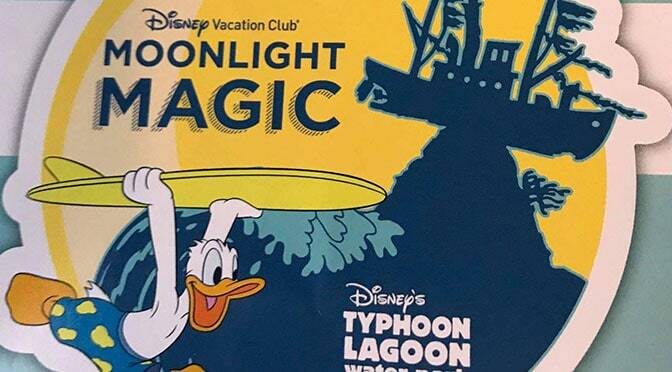 Cast Members are instructed to act as if it doesn’t occur until they characters actually appear and the schedules aren’t published publicly except on my site and others who borrow it. I’m able to get basic schedules from an uncredited friend because the friend wants guests to be able to access these characters. Sometimes the schedules that I’m provided can be adjusted slightly based on conditions and desires of the Character Palooza team. I try my best to keep the schedules updated, but recommendation is to arrive a little before the times I list and wait around. Characters will NOT appear during inclement weather. Here’s a link to the Character Palooza schedule and location information. Here’s who we visited yesterday: Belle, Mulan, Snow White & Snow Queen Grimhilde, Green Army Men, Penguin, Mary Poppins, Stitch, Genie, Chip n Dale. Belle didn’t return for the second set and the third set was cancelled after only a minute or two on stage due to rain in the area. 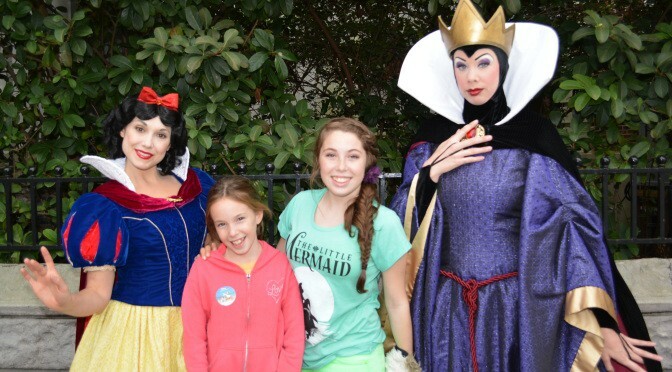 The highlight of recent Character Palooza meets has been seeing Snow White and the Evil Queen Grimhilde in the same meet and greet! 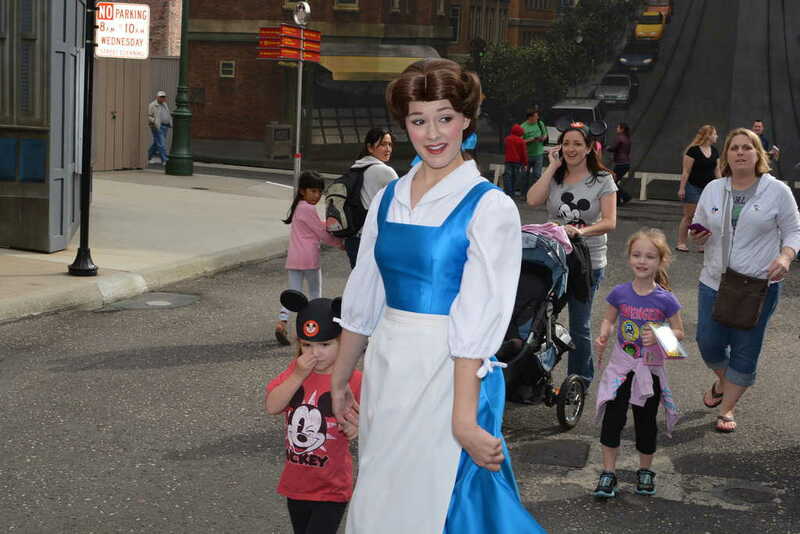 Belle didn’t offer a set meet. She took the hand of this little girl and walked around with her introducing her to the various characters with no waiting in lines. Way to go Belle! 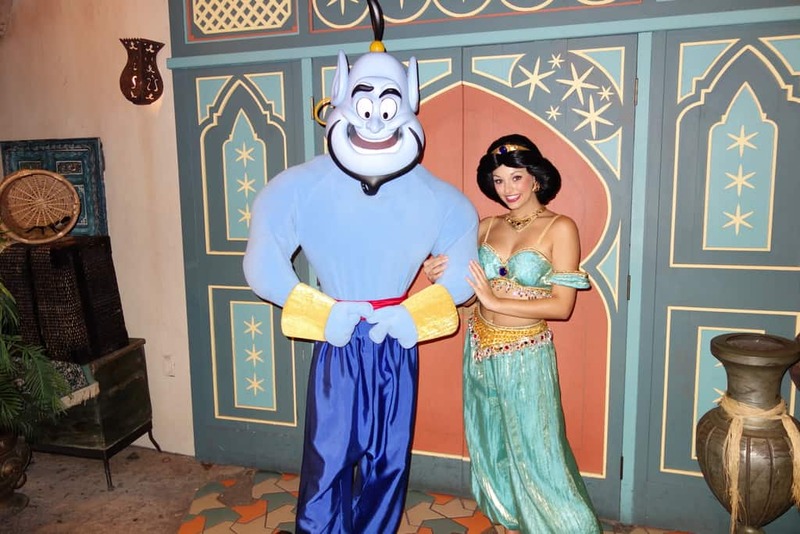 Jasmine appears daily in the Magic Kingdom and Epcot. 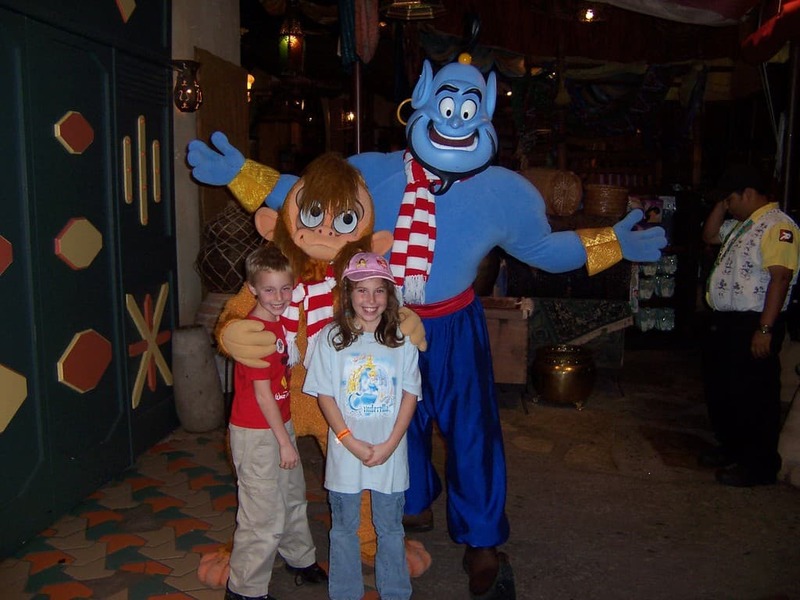 Genie appears randomly in Hollywood Studios for Character Palooza and Epcot. 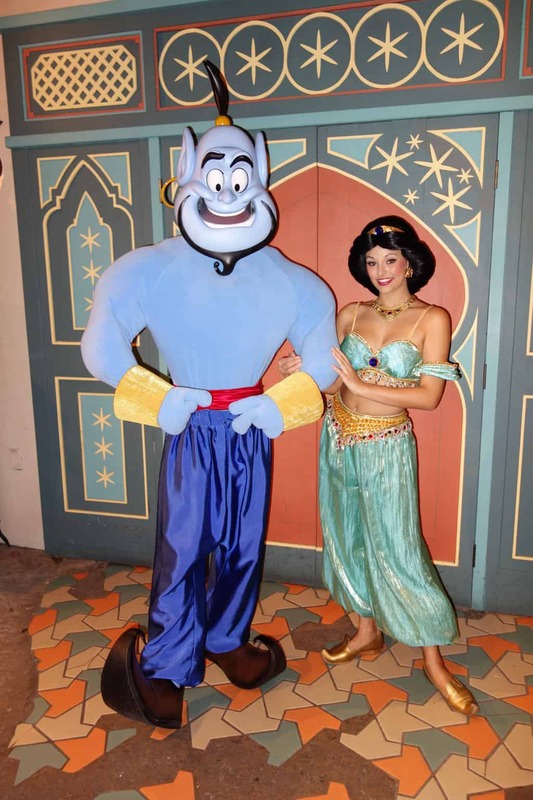 Genie also appears for parties.